Did you sleep well last night? A good sleep makes all the difference in our quality of life. Many things affect our sleep patterns, including room temperature, light, screen time, stress, and the comfort of our mattress and pillows. If you’re having trouble sleeping, there are some things you can do. Get exercise each day, limit screen time in the hours before bedtime, set a comfortable temperature, and have a nightly routine that is soothing and invites relaxation and finally, sleep. National Sleep Comfort Month is the perfect time to make sure you’re taking care of your night life too! It’s bedtime for the little piggies, but Papa isn’t home yet and Mama’s on the phone. So the five rambunctious kids find ways to spend the time. A peek into their room finds “Piggies in pajamas / jumping in the air / tossing up the pillows / popcorn in their hair.” The quadruple bunk beds make tall mountains to climb and perfect platforms for jumping into the ocean, but as the piggies dive onto the soft, pillow “water,” they hear Mama’s footsteps in the hall. The piggies “hurry to the tunnel. / Everybody, hide. / Underneath the covers, snuggle deep inside.” Soon all seems quiet, so they tiptoe from their beds to spy on Mama. They’re happy to see that she’s still occupied, leaving the tracks clear for the piggie train to toot, toot across the floor. But Mama, in her curlers, hears a suspicious sound and stomp, stomp, stomps upstairs. Once more the five siblings rush to their beds and pull up the covers, their ears trained on any sound from downstairs. A familiar “crick, creak” tells them that Mama is now sitting down and chatting with Mrs. Cat. “Piggies in pajamas, / whirl around the room. / Cartwheels and somersaults— / Boom, Boom, Boom!” All that noise brings Mama stomp, stomp, stomping, but when she opens the piggies’ door, they’re all snuggled in and quiet as mice. One sneaky eye watches Mama as she descends the stairs on her way to the kitchen for an evening snack. In moments, the little ones are up again and searching through the trunk for toys and cars and dress-up clothes. Just then at the window they hear a “scratch, scratch, tap, tap” and although it’s only a tree branch waving in the wind, the imagined wolf or fox or bear has left them shivering. The little piggies in Michelle Meadow’s sweet story want to do the right thing, but it’s just so exciting to stay up late! Readers know how they feel and will giggle along as the piggies romp when Mama’s gone but fly into bed when they hear her stomps. Meadow’s jouncy rhyme captures the freewheeling antics of unsupervised kids, the delicious suspense of getting caught, and the endearing appeal for comfort when kids are scared or truly ready to drift into dreams. Ard Hoyt’s energetic piggies know how to make the most of Mama’s inattention! Bouncing on the bed with their popcorn snack, climbing a rope made of sheets to the top of the bedpost “mountain,” and strutting down the hall in a piggie train, these five siblings are as cute as can be. Hoyt’s split pages show both the expressive siblings and Mama as they go about their nightly routines, acting and interacting on the sounds they hear. The soft colors, humorous details, and final spreads of the piglets in Mama’s bed, tell readers that despite all the shenanigans, this is a house full of love. Piggies in Pajamas would quickly become a bedtime favorite and a welcome addition to home bookshelves. 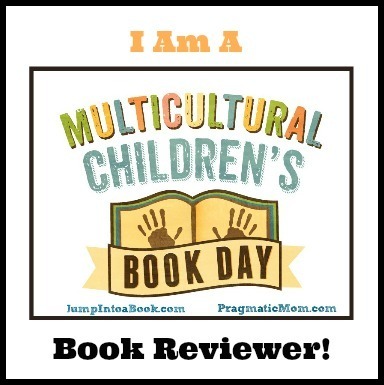 Discover more about Michelle Meadows and her books as well as teachers activities on her website! You can learn more about Ard Hoyt and view a gallery of his books on his website! 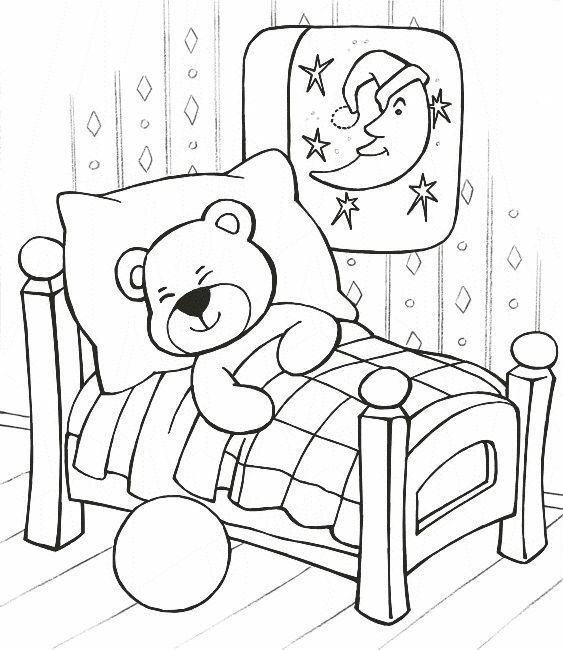 The teddy bear in this printable Sweet Dreams, Teddy! Coloring Page is fast asleep and watched over by a silvery moon. Grab some crayons and have a little fun before going off to bed!